CLAREMONT, CA—Organizations that offer outstanding customer experience are often those that are more innovative, profitable, and higher performing, according to The Society for the Advancement of Consulting® (SAC). 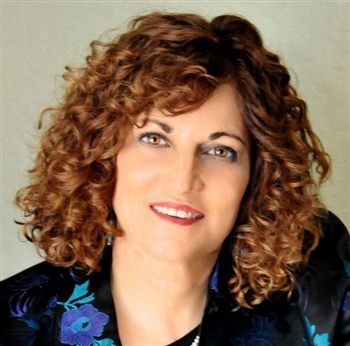 "It is worthwhile to invest in customer service ONLY if you plan on being successful," points out Lisa Anderson, president of Claremont, CA-based LMA Consulting Group, Inc and manufacturing expert known for creating supply chain resiliency. "In today's Amazonian marketplace, the customer's experience is all that matters. Rapid customization of high-value products and services is the name of the game. "Our best clients develop a culture of innovation with a passion for exceeding the customers' needs, whether understood or undefined," notes Anderson. "Help your employees develop a sense of curiosity and creativity with your customers' end goals in mind. Think not about how to meet expectations but instead how to help your customers surpass their competition with new products, services, efficiencies, or other unexpected benefits." Dr. Maynard Brusman, a consulting psychologist, executive coach and emotional intelligence/mindful leadership consultant, notes, "Most CEOs hope a stronger focus on customers will help grow profit margins. But connecting with customers is not a matter of installing better CRM systems or measuring satisfaction levels." According to Dr. Brusman, "If companies truly want to build relationships with consumers that lead to rewarding partnerships, they first need to develop trust through appropriate actions. Relationships are based on trust, and no one will buy anything unless they have trust in you or your business. Conscious businesses need to listen to and respect their customers and guard their privacy." Dr. Brusman advises his clients, "Capturing customers and keeping them is all about creating brand promises, and delivering them creating loyal and happy customers. This means companies must do what they say—and more. In short, you must exceed customers' expectations." "It would be ridiculous to say it is necessary to invest in outstanding customer service to be successful in the marketplace," says Alan Willett, a leading expert in the business of technology and author of the book Leading the Unleadable. "There are too many examples, such as cable services, that had horrible reputations for customer service while at the same time they had great profits. "However, as we are seeing, those companies will only have short-term loyalty as competition rises to the occasion. To thrive for the long term, it is mandatory to invest in excellence in customer service," Willett notes. Pozzo encourages investment in the entire customer experience rather than just one area. "Customer service should not stand alone—it should be part of an integrated, seamless experience. By putting customers at the center of the business and staying connected, they will influence others in their buying decisions. High-performing businesses know this and see their customers as their best sales people." Treating customers like they really matter can be a critical differentiating factor in today's marketplace, according to Linda Popky, president of Redwood Shores, CA-based strategic marketing firm Leverage2Market Associates, and author of the book Marketing Above the Noise: Achieve Strategic Advantage with Marketing That Matters. "In most cases, customers stay with established suppliers because of inertia—it's much easier to put up with sub-par service than it is to make a change. Yet when customers feel they are treated poorly AND there's an alternative that clearly treats people better, customers will pick up their business and move—I've done that myself recently. "Sadly, most organizations don't stop and ask customers why they're leaving—and they may not even notice the defections until it's too late." "Customer service improvements must be linked to business improvements," according to Weiss. "Making your customers 'more satisfied' is simply an expense item unless it results in higher sales, more referrals, fewer returns, and so forth. A happier customer doesn't pay the rent, but a customer who spends more does." The Society for the Advancement of Consulting (SAC) is an international association of consulting professionals who subscribe to an industry code of ethics and have provided evidence of significant consulting results among their clients. For more information, please go to http://www.consultingsociety.com, write to info@consultingsociety.com or call 909-630-3943.